Inductor Tanks are selected as supply tanks for application systems and when a more complete drain out of stored liquids is required in indoor or outdoor applications. Tanks require stands to support the conical bottoms. Tanks are manufactured from medium-density polyethylene with U.V. inhibitors and designed for containment of liquids of up to 1.7 specific gravity. Tank walls are translucent for level viewing and equipped with gallon indicators. These tanks can be used for a variety of purposes. Some examples would be biodiesel processing, water treatment, oil settling and many other applications which require a chemical resistant material and a cone shaped bottom for easy and full draining. Conical bottoms are ideal for even draining. These tanks are essential when settling materials suspended in a fluid, as they will sink to the very bottom and become fully drainable unlike in flat bottom tanks. Full drain ports allow for complete draining of the bottom. Tanks which use bulkheads in the bottom often leave residue in the bottom. These tanks should not be pressurized. They are warrantied to handle no more than 2 psi. They cannot be used in a vacuum application. 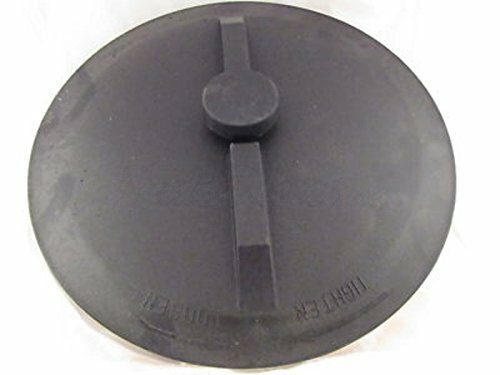 The lids on the tank are not sealed with gaskets so if pressure build-up occurs, it can be relieved automatically through the point of contact between the lid and the top of the tank. The larger tanks come with an air vent in the top which will pop up and allow relief of pressure. It may also be manually popped open if ventilation is required. Please Note: Due to the large volume of our tank supply, we store our tanks outside. It is not uncommon for rain water and condensation to find its way into the tanks over time. We drain our tanks of this water prior to shipping. Occasionally, there may be some algae growth in this water. Like with any plastic container sold in a store, it is recommended to wash the tank prior to use. If you have any questions about this product by Duda Energy, contact us by completing and submitting the form below. If you are looking for a specif part number, please include it with your message.